Life doesn’t always work out as planned. If your boiler or fridge were to pack up, or the car conk out, would you have enough money to fall back on to get sorted? Even worse, what if you were made redundant – could you cope financially until you got a new job? If you have no savings buffer, if something unexpected happens, it’s going to be hard to cope with these events. Realistically everyone has bills to pay and you need to eat so these will take priority. The mental anguish these types of events can cause can be huge when you don’t have savings to fall back on in this scenario. Which is why you need to build an emergency fund. Or as I like to call it, your rainy day buffer. If the unexpected happens, what do you do to survive? Almost half of all adults in this country do not have more than £500 in savings. With no savings, this means taking out debt to fund whatever emergency they are facing. Even those with larger savings pots are not immune to facing the panic – a redundancy or accident which means you couldn’t work could mean serious money worries. Anti-debt charity Step Change says that, if every household in the UK had £1,000 saved, it would reduce the number falling into problem debt by half a million. This is the very bare minimum amount you want to have saved for emergencies. Between three to six months of living costs – mortgage/rent, bills, groceries, necessary transport costs – is a far more sensible buffer for obvious reasons. However, this is not a small amount of savings we are talking here. We’re talking fairly large numbers for most families. But having this buffer is so, so important. Both financially but also for your mental wellbeing. The security blanket that a healthy emergency fund puts around you is worth its weight in gold, and well worth any sacrifices made to build it up. 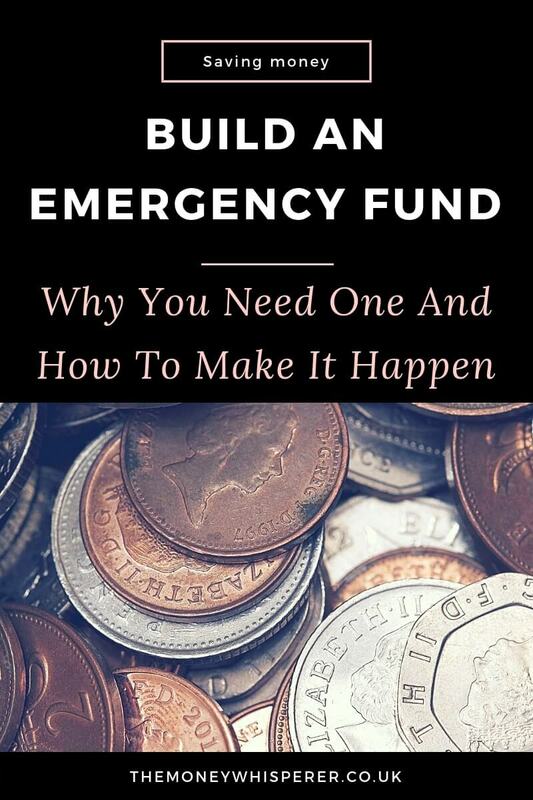 So how can you realistically build an emergency fund – and preferably FAST? Setting a target that you need to save will focus you on getting there. Work out how much you would need cover three months of expenses and make this your goal. If you are paying off debt, you should still aim to build up an emergency fund as this will help you avoid further debt in the future. In this case, start small and build as you pay your debt off. If something happens that means you need to dip in to your fund before it is completed, don’t change the goal. Just keep going until you reach your target. You’re going to have to make some small sacrifices. If you had spare cash lying about, you would likely have savings anyway. So, to find the money to build this emergency fund we are going to need to take a good, hard look at what you are spending your money on. Take some time to go through your spending habits. Is there anything which you buy regularly which you could cut out? A gym membership which you just don’t use enough? Any forgotten subscriptions you’re paying for which you don’t need? Bean is a good tool which searches all your bank accounts for subscriptions. 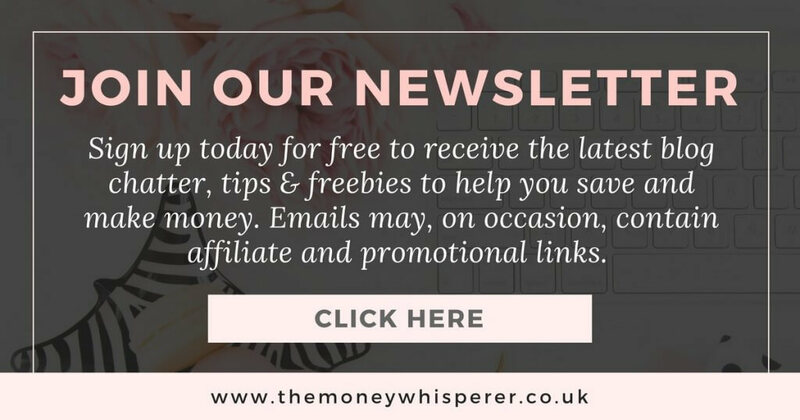 It’s great for picking up free trials that you never cancelled and forgotten direct debits such as magazine subscriptions to your old home! I also like that they will contact the company directly for you to cancel a subscription rather than you just cancelling the direct debit. What can you cut out or change to find the money for your emergency fund? The easiest way to make sure you stick to your plan is to take the effort out of it. Firstly, set up a new savings account and nominate this as your rainy day buffer fund. It helps if it is with a bank which is different to your everyday current account as then you won’t be as tempted to transfer funds across when you go on to online banking. You need to set yourself up to achieve this goal! Now set up a standing order on payday to transfer the amount you are saving in to this account. Automate this action. It’s so easy to forget if you aim to make the transfer manually, and you are being proactive here. You can’t afford to forget, or re-consider what you want to spend that on. Bank account skimming is a simple technique that can help you save small amounts of money consistently. It works like this. Say you have a balance of say £227.64 in your current account, you could round this down to a round figure of £227 by ‘skimming’ off 64p from your current account in to a savings account. Some accounts don’t allow transfers under £1 but in this case, if you can afford to, round down £7.64 to £220. There are two simple ways to skim – manually or automatic saving using a dedicated app. I love the clever app Chip which will skim for you. Try setting yourself a target of skimming once a week and see how much money you save with the 26 withdrawals to your savings account by this time in six months. We all have things we don’t need. Ebay, gumtree, Facebook marketplace – they all make it so easy now to sell your unwanted items. This is such a simple way to find some spare cash without any sacrifice on your part, except finding some time for a clear out. Make sure ALL the money you make from selling unwanted bits and pieces goes in to your emergency fund until you have at least reached your target amount. Starting small with £25 a week would see you with £650 in emergency savings within six months. £5 a day would get you even closer to a £1000 target with £913 saved. If you can afford to save more, this will be even better for you. Ultimately, what you save needs to be linked to your personal target. Get this clear in your mind and get going. If you need a kick up the bum, think about a boiler break down which then needs replacing over this coming winter…. Brrrrrrrrrr. Just jump in – your future self will thank you I promise. How does having an emergency fund make you feel? Building up your safety buffer isn’t just about money. There are hugely positive mental benefits associated with knowing that you can withstand a financial knock. I asked some of my fellow money bloggers about their emergency funds, how having one makes them feel and their best tip for building that essential pot. I’m working on ours at the moment and it currently has enough to last 2-3 months. I want to get it to six months worth of wages by the end of next year and so I’m not planning anyh holidays next year to instead reach this target. I feel much more comfortable and secure knowing we have some back up money, especially as I’m self-employed. It panics me a lot which is why I’ve decided to really concentrate on saving the rest over the next year. My tips would be to work out your incomings and outgoings and set up a regular amount each payday that can go into the savings and be forgotten about. Also, I put any extra change from my current account into the savings every time I check our online banking, so I will round down to the nearest £10 or £1. This is really helping ours to grow without us missing the money too much. So far I only have £1000 in mine for literal emergencies. I’m paying off debt, so likely won’t have a bigger emergency fund for some time. I feel good knowing that it’s there just in case, because you never know when the unexpected things might happen! Ideally, I’d like a ‘6-month of basic expenses fund’ but that’s way off yet. I have been running an emergency fund challenge with my community and have suggested lots of ways they can build a fund, including decluttering and selling, surveys, matched-betting and freelancing. I’ve got 2k stashed away in case of emergencies. It’ll last a couple of months if needed and it’s great to have the safety net, without it I’d panic! I wouldn’t know what to do if something went wrong and I’d find it really difficult without it there. My tip in starting one? Cut back, it might sound bad but if you can refuse two take away per month that might be £40 you can stick in your emergency fund! If you don’t have the cash left at the end of the month look at areas you might be able to cut back on and not having a take away now and again might be better for you as well! £1000 at the moment, will be up to 3 months expenses by end of next year. £1000 would last us about 6 weeks if one of us lost or jobs (luckily I have a few side jobs that I could ramp up of that happened). It means I don’t stress about some of the ‘what ifs’ – what if the car broke, what if the dogs got ill. It just helps to take some of the pressure off. The best way to start building an emergency fund if you don’t have any money spare each month is to declutter and sell whatever you can! I have just under £4000. That would last us around 3 months if we had no other income. As we both work, we should be able to stretch it much further if one of us lost our job. It makes me feel better having it, but it’s not something I think about very often. My tip is to start saving small amounts as often as you can. Using an app like CHIP or Plum means that you probably won’t even notice your money has gone. I started building my emergency fund in the summer and completed it in August. I have £1000 in my savings account as well as a £500 float in my current account. I’m self-employed so that’s there in case of a low income month. My emergency fund would last me two months if it was covering bills and other expenses, but of course it could be swallowed up in one go if something was to require an expensive repair. I built my emergency fund up by selling unwanted clothes, completing surveys and skimming my bank account. I have a £500 emergency fund. I’m aiming to increase that to £5k by the end of next year. The £500 would last me a month, as long as I was careful. I feel relieved that I have a small emergency fund, but would like to have at least £2k. My tips for getting an emergency fund are to find new side hustles, cut back on non-essential spending and review your budget as often as possible. We have £10,000 which is over 6 months of expenses. If one of us lost our job or we were able to make other income it would last us a lot longer. We made it a priority to build one up before my eldest was born. We did this by living on one income and saving the other for several months. We’ve slowly added to it since but it is so nice to have. It gives us real peace of mind and allows us to take risks elsewhere such as investments and business ideas. I have now have an emergency fund of around 4 months of essential expenses, and it makes me feel so much better about my financial situation. I am calmer, and happier, knowing that if any emergency pops up, then we can at least keep a roof over our heads, and feed ourselves! It can be easy to feel so overwhelmed at the thought of creating one, that you just don’t start. Set up a standing order straight after pay day, and just get started. We have £4k in our emergency fund, which would cover 3 months of basic expenses. It feels good to have a safety net but ideally I would like to build this up to 6 months’ worth of expenses. We were only able to start building up our fund once we started analysing every penny of our outgoings and seeing where we could cut back. Small changes such as bringing a packed lunch to work rather than buying Pret sandwiches and buying a supermarket pizza whenever we fancy a takeaway rather than one from a pizza shop has saved us around £100 a month. Also, starting to meal plan properly has probably added almost another £100 a month to our savings. We started with building our emergency fund to £1000 but now have 6 months in an easy access account. We can sleep easier at night knowing if one of us lost our job or was off sick long term we have the money to cover all our expenses. To anyone without an emergency fund, I would recommend making it your top priority. It will be the foundation upon which you build your future financial success. 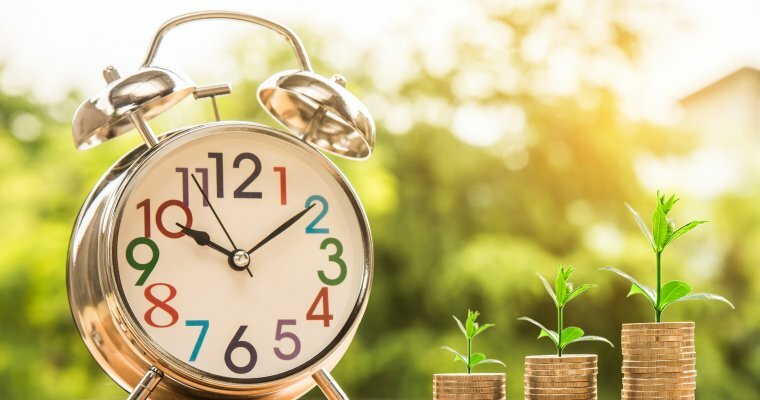 The Government has started to address the retirement savings crisis through auto-enrolment which makes saving for the future easy and automatic for those who are employed. It would be great if there was a similar initiative to act on the rainy-day savings issue which faces so many people. I loved reading the testimonials regarding individual emergency funds. I find it quite interesting that even though they are different amounts, they give people such peace of mind. And thanks for the tip on skimming my account and transferring, I’m going to have to start doing this to build my EF up, you don’t miss the money when you skim it but it definitely adds up in your savings! I really enjoyed this post! I think it’s so beneficial to have a savings/emergency fund, not only for financial reasons but also to help you put your mind to rest. If you have enough money saved, you don’t have to spend hours at night worrying about how you and your family will cope if anything bad happens; which can give you peace of mind at times when many things can seem so uncertain! I’ve been saving for just over a year and I half now, and I’ve noticed that if I save more money, then I manage better to live within my means in my current account; however, if I save little amounts and have a more significant amount in my current account I definitely spend more! Emergency funds are great, I had built up one to allow me to start running my own business and I certainly needed it for the first fwe months. Now im outting back in for the next time which you never know!